There is little doubt that d-CON© is one of the most common brands of rodenticide on the market. 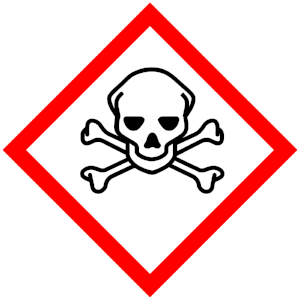 It is so popular that many people refer to all brands of rodenticides as “d-CON©”. For many years d-CON© sold for household use has been a second generation anticoagulant. But in 2011 the Environmental Protection Agency dictated that the second generation anticoagulant rodenticides for home use be discontinued. The alternatives offered were bromethalin (a neurotoxin), first generation anticoagulants (like warfarin) or cholecalciferol (Vitamin D3). This summer the makers of d-CON© announced that to comply with the EPA mandate, they would be switching to cholecalciferol (Vit D3). This change will happen this year. The Vit D3 product is what is referred to as a “soft-bait.” It is a material of play-doh consistency that is shrink wrapped into small cubes. They are designed to be placed in a bait station that rodents can enter but that other animals cannot get into. However, station refills come with the stations and are sold separately. People will often place these refills without the stations. The veterinary concern is that unlike the anticoagulant rodenticides there is no antidote available for cholecalciferol. Symptoms often do not become apparent for 1-2 days after ingestion. By the time the patient presents for treatment, there can easily be permanent kidney damage. Vit D3 is an essential nutrient, but in large amounts causes calcification of tissues throughout the body. These include the kidneys. Unless treated early and aggressively the kidneys often suffer permanent damage. Treatment can be prolonged, very aggressive, and very expensive. Survival is not guaranteed. So what can you do? If you use these products, use them as directed in the bait station. Keep the product packaging for all rodenticides and be prepared to bring the packaging with you to the veterinary clinic if there is an exposure. Be very careful with all rodenticides. Keep them away from areas your pets have access to. Keep the refills in a secure location where your pets cannot reach them AND in a sturdy container that your pets will not be able to break into. If you have these products and your pet starts showing symptoms such as increased thirst/urination, urine odor to the breath, decreased eating and possibly drinking, and vomiting (unfortunately these are relatively non-specific symptoms) please have them seen by a veterinarian. Once symptoms develop, permanent damage may already be present. Veterinary cardiologists have been seeing an increase in a heart disease called Dilated Cardiomyopathy (DCM) in patients fed “grain-free” diets. These patients are not of breeds that have an increased genetic risk of DCM. The only link identified currently has been the general type of diet. Dilated Cardiomyopathy is a heart disease in which the heart muscle stretches causing the heart to get abnormally large. The stretching can cause heart murmurs. As the heart muscle stretches it cannot contract adequately so despite its size, the pump cannot do its job of pushing blood throughout the body. This is referred to as congestive heart failure. Also, as the muscle stretches, electrical conductivity problems can occur and cause abnormal heart rhythms. Ingredients commonly listed in the foods of the patients identified to date include potatoes or multiple legumes such as peas, lentils, other “pulses” (seeds of legumes), and their protein, starch and fiber derivatives early in the ingredient list, indicating that they are main ingredients. It is not known how these ingredients are related to the problem as a causative link has not been made at this time. It is important to note that these ingredients are all common in the “grain-free” diets. The duration of these diets as a primary nutrition source has ranged from months to years. The overall concerns seem to be that something is missing from the diet, that ingredients somehow interact to bind nutrients and make them unavailable, or that the ingredients are directly detrimental. Hopefully a causative problem will be identified so it can be fixed. At this time the FDA statement only indicates that they are looking into a link between the “grain-free” diets and DCM. No link has yet been established. However, at least 15 years ago a link was established between lamb and rice diets and dilated cardiomyopathy. So there is a precedent. Please remember that the “grain-free” diet fad is more about marketing than any science showing it is better nutrition for our pets. There are many articles that are criticizing the FDA for this statement. If you read these, remember that they are opinion, many by the pet food manufactures with a vested interest in selling the food. Even as the weather gets cooler, keep using your pet's tick preventatives. The ticks will continue to be active until the temperature stays below freezing. Dr. Otto says the only month she has not removed ticks from patients is January. Frontline® and NexGardTM work best as preventatives. While they will kill ticks if administered after they are attached, many of the benefits are decreased.